M&A; Strategy is a first critical step in the Mergers and Acquisitions process. 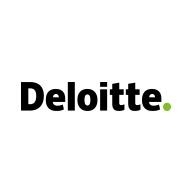 Deloitte’s M&A; Strategy and Commercial Due Diligence offering works with senior executives to define how they employ M&A; – in alignment with their corporate strategy – to drive profitable growth and enable them to compete effectively in their industry. Knowing the where and how – where the company wants to compete and how it plans to win – is essential to defining an effective path and identifying strategic acquisition targets. Based on the client’s corporate strategy, market expectations and corresponding portfolio gaps, we identify and assess targets based on meaningful screening criteria that can include a client’s strategic objectives, potential synergies, organizational and cultural fit, and the feasibility of a deal. Through our pre-deal due diligence support, we help companies understand the potential for value creation and what drives it. To ensure the transaction is successful, we also support clients with pre-deal integration planning and overall communication of its rationale to stakeholders, markets, and customers. Deloitte provides end-to-end M&A; advisory offerings from early in the M&A; life cycle (M&A; Strategy, Commercial Diligence and Operational Diligence), through to integration as well as with disciplines such as financial advisory, IT, and tax to provide broad-based information that can inform the M&A; strategy. M&A; strategy offerings include corporate strategy, inorganic growth paths, target profiles and investment theses. Our mandate is to enable our clients’ ability to grow, optimize, and fundamentally change the nature of their business and competitive position. We do this via M&A;, divestiture, and restructuring services from beginning to end. Our Offering enables pre-deal and post-deal integration, divestiture, and major restructuring/cost transformation activities to achieve/exceed deal value, synergy targets, or strategic cost takeout objectives. M&A; Expertise: Advise clients though execution of the M&A; lifecycle of M&A; strategy, operational due diligence, divestiture, integration, and restructuring; experience in Mergers & Acquisitions areas such as synergy capture, cost reduction, shared services, outsourcing, and process redesign. Industry Expertise: Advise clients on appropriate M&A; strategies and leading solutions for a given industry; actively deliver latest and forward-thinking guidance specific to an industry, while maintaining up-to-date knowledge of M&A; activity across a client’s industry. Prior experience identifying effective M&A; solutions to meet key client needs, based on internal / external research and leading practices. Experience planning and implementing integration and separation projects as the result of M&A; activity.